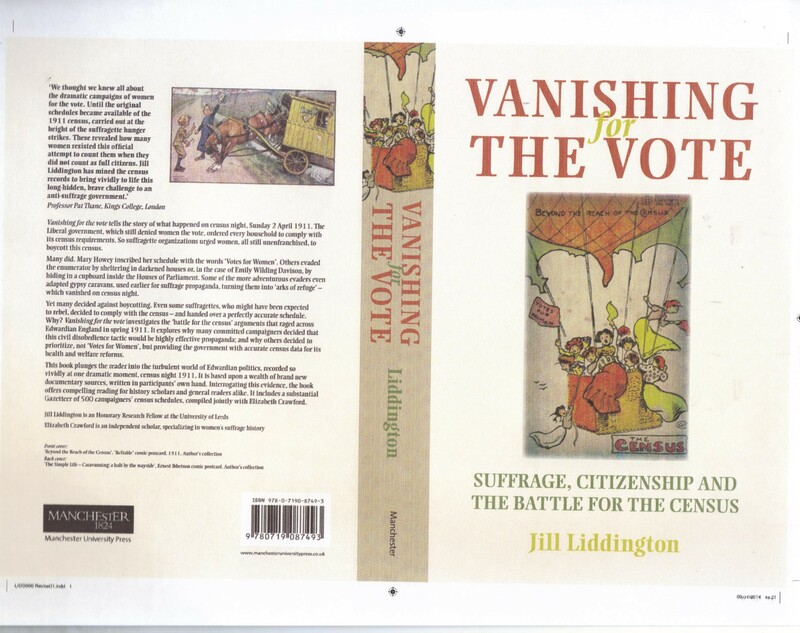 A couple of months ago, to coincide with the publication of Dr Jill Liddington’s latest book, Vanishing for the Vote, I was pleased to take part in a three-hander talk – with Jill and Prof Pat Thane – in the House of Commons – in which we discussed the suffragette boycott of the 1911 census. This talk was videoed and has now been uploaded to the Parliamentary YouTube channel. You can view it here. Jill and I had together undertaken the initial research into the identities of those who had either made clear on their census forms that they were not prepared to answer the government’s questions or who had failed to be included on any census return. This work resulted in a jointly-written article in History Workshop Journal – see here to read it – and a talk I gave at a National Archives conference on the 1911 census – which you can listen to here. The details of 500 women protesters may be found in the Gazetteer that Jill and I compiled and which comprises the final section of Vanishing for the Vote. This entry was posted on May 14, 2014, 9:01 am and is filed under Suffrage Stories. You can follow any responses to this entry through RSS 2.0. You can leave a response, or trackback from your own site.